Te Kauwhata is a small rural town with a population of around 1,400, situated in picturesque rolling farmland, nestled on the edge of Lake Waikare, in the North Waikato, midway between Auckland and Hamilton (approximately 40 minutes drive either way). 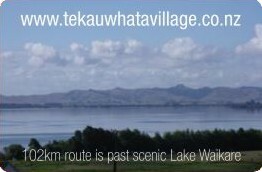 Lake Waikare is the third largest lake in the North Island and is becoming a major tourist attraction of this town. Te Kauwhata services a large rural area of over 13,000 people, taking in such districts as Waikaretu, Onewhero, Maramarua, Meremere, Waerenga, Ohinewai, Rangiriri, Naike and Glen Murray. Te Kauwhata boasts a huge range of interesting farming methods which include dairying, beef units, sheep and cattle, deer, ostrich/emu farming, fruit orchards, market gardening, horse studs, eel farming. Cottage industries include greenstone carving, knitting, sewing, seedling nursery, herb garden/cottage teas, home stays, farm stays, handmade gourmet condiments, and apple/grape juice production. As you venture into Te Kauwhata amid the rose festooned fence lines, a delightful view of Lake Waikare, surrounded by rolling hill country, will arrest your eyes. Generous hospitality, mouth watering culinary delights, delightful wines, and a wealth of history will enhance your welcome. Come on in and sojourn with us and relish all that Te Kauwhata has to offer. 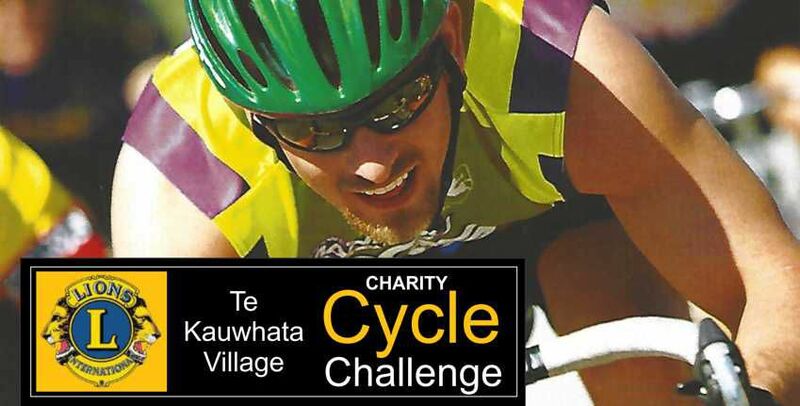 All distances start and finish in the picturesque village of Te Kauwhata, which is conveniently just 2km off State Highway One mid-way between Auckland and Hamilton. Each of the distances are predominantly flat with gentle undulations. Riders will be travelling on a safe and well marshalled course with sealed roads and minimal traffic. All routes will be clearly marked with a comprehensive traffic management and marshalling system in place. Riders on the longer distances will pass through lakeland and forest areas, making for a truly enjoyable ride. Start times from 8:45am are staggered to allow similar finishing times, with prize-giving at 1pm to allow all riders to attend. Electronic transponders will be provided to all riders to ensure accurate recording of ride times and each and every rider will be eligible for good spot prizes.